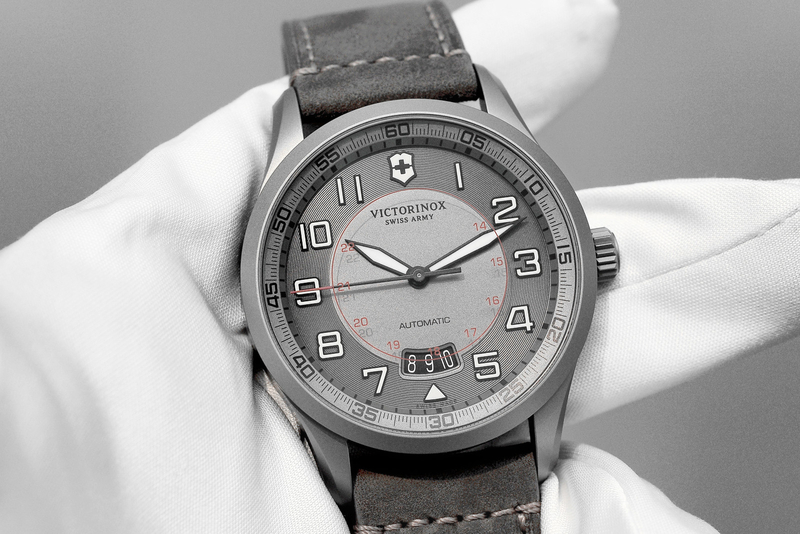 These are the new Victorinox Airboss Automatic Titanium Limited Editions. One is a three hand model, the other is a chronograph. 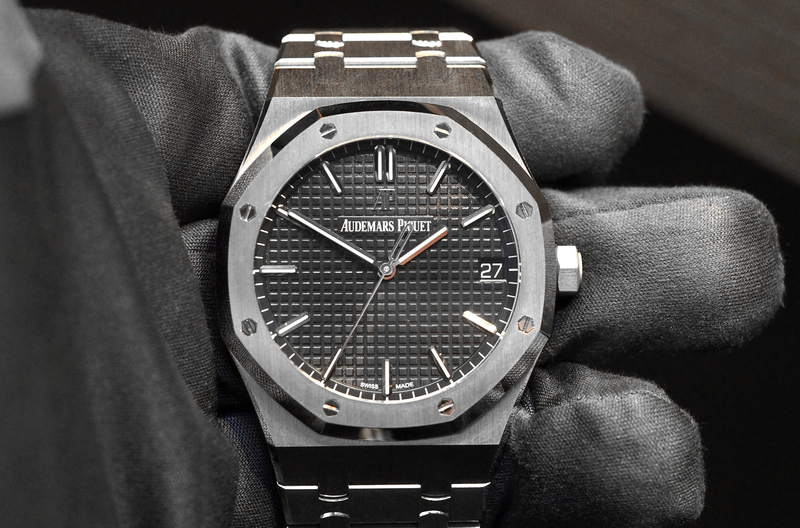 They were shown at Baselworld but will not be available until November 2013, so details are limited. We do know that they both come in sandblasted matte titanium cases that measure 42 mm in diameter and are powered by ETA movements. 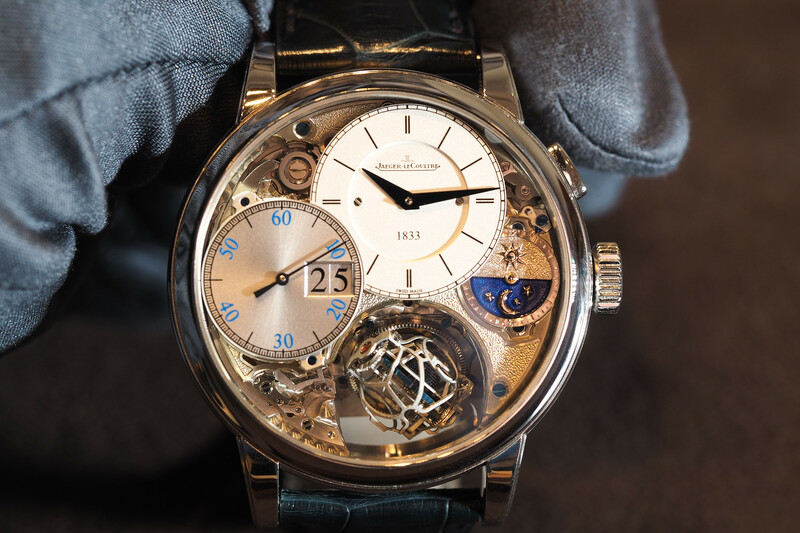 Military time is imprinted in red on the inside of the sapphire crystal, above the dial. The three-hand model has a horizontal panoramic date at 6 o’clock, while the chronograph has a vertical panoramic date at 3 o’clock. 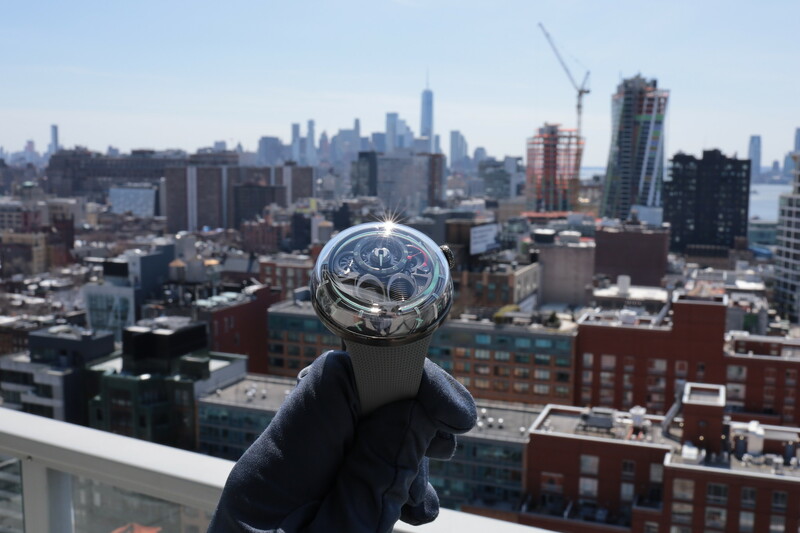 Both models feature large sword-shaped luminescent hour and minute hands. Matte black applied luminescent Arabic numerals and markers indicate the hours. The dial is diamond cut and has a smooth sandblasted finish. The crowns (and pushers for the chronograph) are in titanium. They come on brown suede straps with titanium folding buckles and are inspired by pilot jackets from the 1930s. The AirBoss Automatic Titanium LE price costs $1195 and the AirBoss Automatic Titanium Chronograph LE price costs $2495. Available from November 2013.